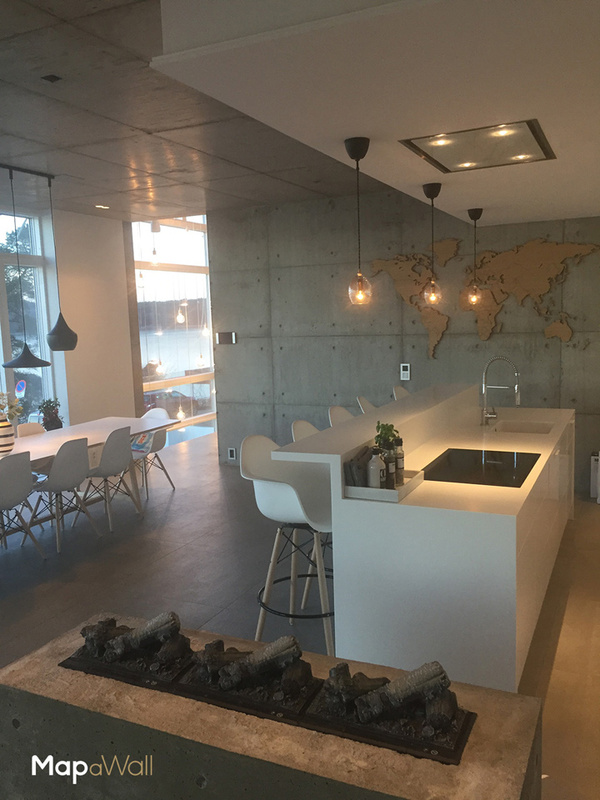 Here is our MapaWall Oak in a very contemporary, open plan kitchen space in Sarpsborg, Norway. This client has displayed our light MapaWall Oak on an unusual, industrial wall in their magnificent kitchen. 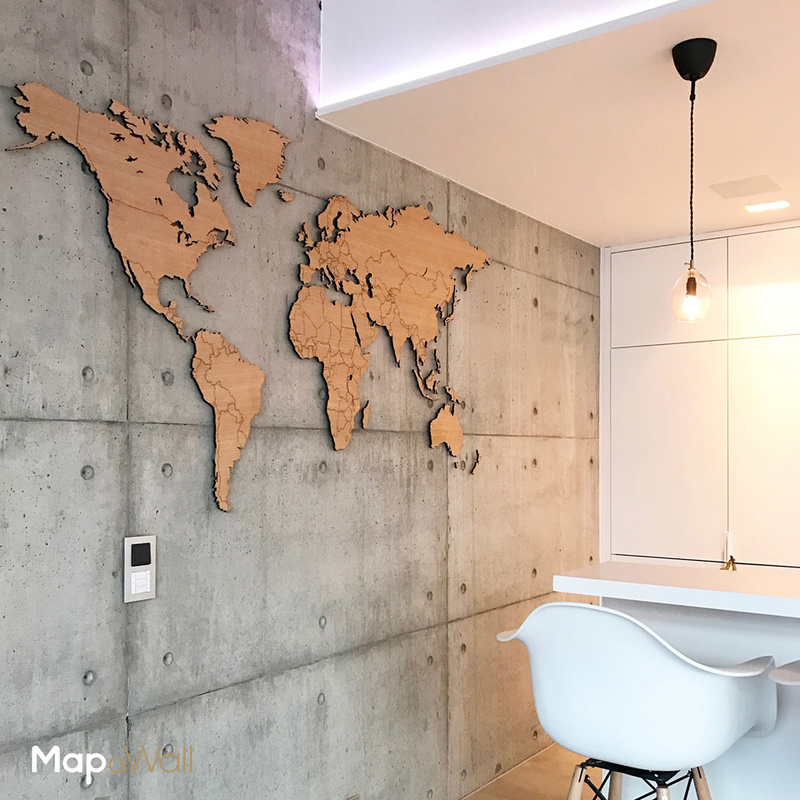 Our wooden world map has been positioned as the first thing you see when you enter this open plan space. The backing wall has a special, contemporary but industrial look and feel. A light stone has been used with a washed finish. Our MapaWall Oak, with its noticeable 3D effect, stands out well on this unique background. 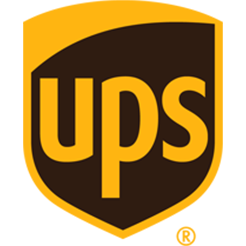 The client has positioned this map in an understated but equally observable location. Our MapaWall Oak is a sophisticated, light colored wood. You can see how our MapaWall Oak adds a beautiful detail to this simplistic and elegant interior. Oak wood, due to its light color and straight grain, can serve as a stunning addition to a contemporary space such as this. The dark and light brown grain is obvious on this light wood, and gives oak wood a lovely pattern. This pattern harmonizes well with the stone background and adds character to the clean, simple cabinets. 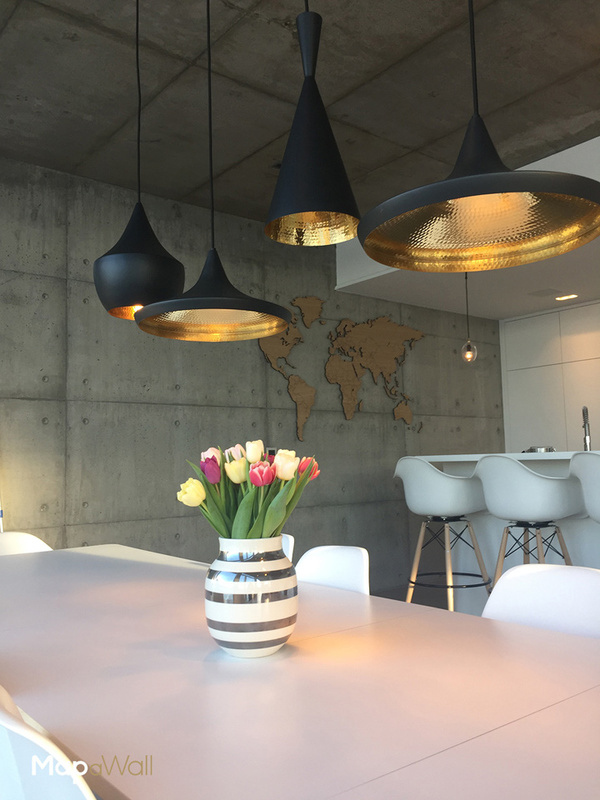 The client has opted for an incredibly chic and sleek interior design. The combination of light grey, stone, white and charcoal gives this interior a remarkably elegant feel. The client has a keen liking for a simple, crisp decor and this is represented throughout this space. 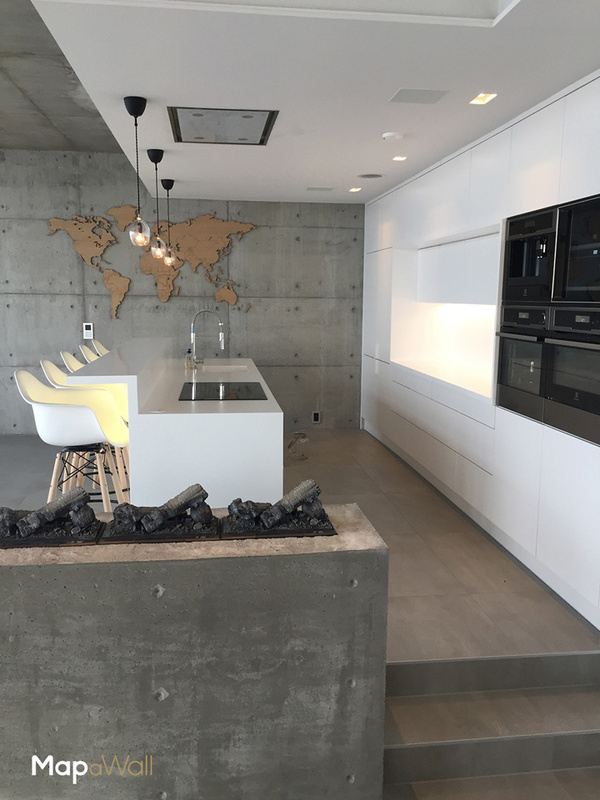 This open plan kitchen is a mixture of an industrial look, as well as a modernistic, chic design. The combination of these two vastly different looks gives this room a stunning contrast. Our MapaWall Oak is the perfect choice for this space as it brings a contemporary light color as well as a contrasting distinct pattern.